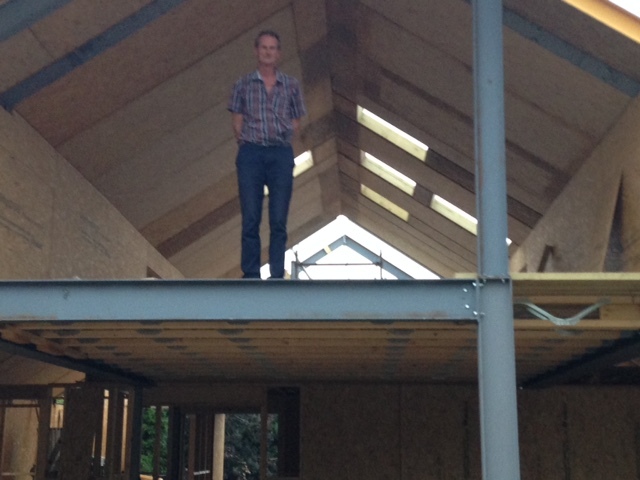 That’s me standing on the first floor of what is for me the most important building I’ve ever worked on. It’s a SIPS construction house in Backwell replacing an early ’70’s bungalow. It’s important because it’s a very low energy house which although not much larger than the 3 bedroom bungalow it replaces will be a very good spacious 4 bedroom house.